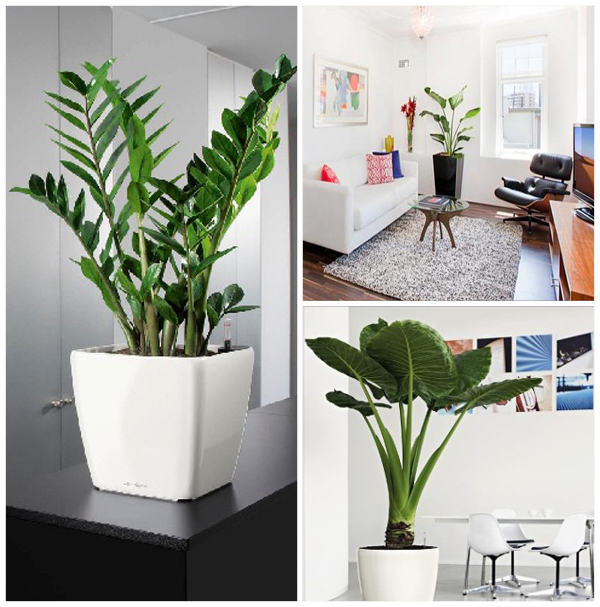 Do you want to decorate your home with indoor plants? If so, you need to start simply by figuring out what types of plants to get first. Perhaps you already know what colors you want or maybe there is a certain type of plant that you really love. You should always get the plants that you desire, even if you just like the way that they look, because you will enjoy them more. However, if all things are equal, there are some types of plants that are a bit better than others, and you may want to look at them first if you do not have any preferences. For example, some plants require very little water and just small amounts of soil. These are great for indoor spaces, where you might not have that much soil to work with just because you do not really have a lot of extra space. Furthermore, since inside plants do not benefit from the rain, getting ones that need little water makes it easier to take care of them. Even if you forget about them for a few days, they will not necessarily die. Some can even last weeks or months without being watered, which makes your life very easy. Another thing to think about is how you could use the plants. Aloe plants contain a liquid that can be applied to the skin, helping it heal after you get a sunburn. All you have to do is break off one of the leaves and apply the liquid that is inside. These plants are terrific because they are functional. They are useful for more than just good looks. If you are going to be investing a lot of money in the plants anyway, why not get something that offers you more than a simple decorative style? While these are the main things to think about when you are looking at various plants and trying to make your choice, keep in mind that your personal desires are more important than anything else. If a plant requires constant work and does not give you anything more than decoration, but you really want it because you think it is beautiful, you should still get it. Plants have a huge impact on the way that a house looks and feels. You need to be happy with the place that you spend most of your time, so you should buy what you want. Disclosure of Material Connection: This is a “sponsored post.” The company who sponsored it compensated me via a cash payment, gift, or something else of value to post about it. Regardless, I only recommend products believe will be good for my readers. My mom is so good with plants. People keep giving her orchids! She has several that are always blooming. I don’t know how she does it, lol. I’m good with say a philodendron or spider plant – but that’s about it, lol!